 What is Hewitt Creek Watershed? A first-of-its-kind, farmer-led voluntary watershed project in northeast Iowa and a pilot project for the current Iowa Nutrient Reduction Strategy. It is a 23,000-acre watershed located northeast of Dyersville, IA. The watershed improvement project was started in 2004 and ran through 2015. How many farmers actually made changes? There was a watershed participation rate of 83%, the amount of farmers in the watershed that made changes. What were the main issues in the watershed? Phosphorus and Nitrogen were the main concerns. Dubuque County is a very heavy livestock concentration county. What improvements were there in the watershed because of the farmers doing things voluntarily? Reduced annual phosphorus delivery by an additional 12,881 pounds annually. Reduced annual sediment (dirt) delivery to Hewitt-Hickory Creek by 10,054 tons annually. Two of the last three years the season-long, rain event, average total phosphorus water analysis was less than 1.00 mg/L (ppm), an improvement from a high of 2.80 mg/L at the beginning of the project. The average concentration the last three years of monitoring showed a 65% reduction in rain event phosphorus when compared to the first three years of monitoring. Four of the last five years, the season-long total nitrogen water analysis was less than 10 mg/L at monitoring site 3. The safe level for drinking water is 10 mg/L. The last five years of monitoring showed a 10% reduction in total nitrogen when compared to the first five years of monitoring. Did the farmers pay for this out of their own pocket? The farmers spent of $1.25 million over the life of the project of their own money. Any monetary incentives they received came from other sources. Where did the funds come from for the incentives the farmers received? The initial incentives came from the Iowa Farm Bureau, who kicked the project off with a three-year $90,000 grant. The Iowa Watershed Improvement Review Board (WIRB) provided just over $615,000 over 8 years. The farmers also partnered with local Soil and Water Conservation Districts on a $5 million Mississippi River Basin Initiative project in Hewitt Creek, North Fork Maquoketa Headwaters and Bear Creek to implement a joint watershed improvement effort. These funds were for larger scale projects such as manure structures, terraces, etc. What are the main practices that helped make improvements to the stream? Miles and miles of new and improved grassed waterways, no-till planting, better manure management, fertilizer management and cover crops were the primary practices. What, if any, improvements in the soil have the farmers seen? The watershed average Soil Conditioning Index (takes in account all tillage, soil types, crop rotations, manure & fertilizer applications) improved 17% during the project, from 0.51 to 0.60. Has there been any benefits to the farmer besides water quality? Yes, many have reduced commercial nitrogen and other fertilizer purchases. Farmers have done so using tools provided by Iowa State University Extension and other sources, such as corn stalk nitrate testing, manure spreader calibrations, manure sampling and using manure nutrient credits. Has there been any new, creative ways used to address nutrient issues in the stream? Yes, Hewitt Creek farmers installed two sub-surface (tile line) denitrifying woodchip bioreactors. The bioreactors are designed to remove some of the nitrates from the tile water before it enters the stream. Are there any other ways to know the creek is better now than before the project? Yes, a Macroinvertebrate (good bugs for a stream) Family Biotic Index of 5.00 (good) at monitoring site 3. A low of 4.74 on the scale was achieved, which is an improvement from 5.83 at the beginning of the project. The Family Biotic Index is a measure of the macroinvertebrates in Hewitt Creek, improved from fairly poor to good during the project. Also, the neighbors to the stream are seeing wildlife return to the stream that they say have been absent for some time, such as eagles. Neighbors are also seeing people stopping on bridges and fishing, something that hasn’t happened for year prior to the project. For a pdf version of these Frequently Asked Questions, please click Hewitt Creek Watershed FAQs.